With Christmas right around the corner, scooters are sure to be on the wish lists of many children this holiday season. With so many kids scooters to choose from, it's difficult to know which ones are sure to be a hit and which ones are made to last and grow with your child. 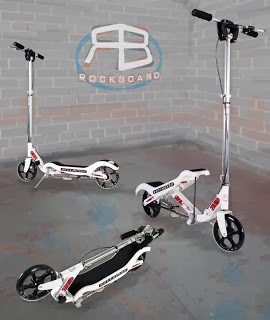 The Rockboard Scooter has got to be the coolest and most unique scooter out there! I know that I haven't seen another one like it anywhere! The faster you "ROCK" your body back and forth, the faster you're going to go. This scooter makes you work for your speed but it's so much fun! This is the perfect way to get your child to exercise without them even realizing it! I was beyond excited when I received a Rockboard Scooter as part of my holiday gift guide. 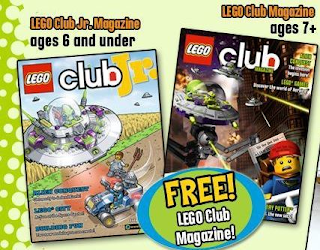 I knew that my kids were going to have so much fun and that my readers were going to be thrilled! I'll admit that I was a little nervous to let my children ride on a kids scooter for the very first time. Both of my kids hopped right on and took off without even blinking an eye. It's like they had been riding scooters all their lives, when in fact this was the first time for both of them! Of course my husband had to get in on the action as well. Let me just say that I think my husband had just as much fun riding it around as our children did! I love that the handle bars are adjustable so the scooter can easily fit children (and adults) of all sizes. It also has a kickstand! Maybe the best part of all, it comes assembled and ready to rock the pavement! Have fun, stay safe, and get lots of treats! Dressing up is a fun activity that lets children use their imagination. It’s no secret that some kids might want to be a princess at breakfast, a nurse at lunch, and a cowgirl by dinner - and having a chest full of costumes and dress-up clothes can provide hours of endless fun! Finding the perfect Halloween costume can be both exciting and stressful. 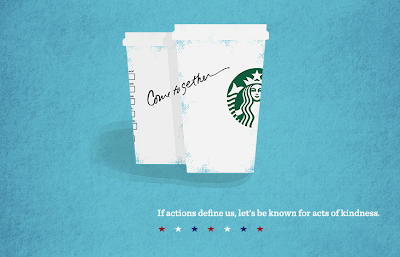 Especially when you have a child that wants to be more than one thing, or constantly changes their mind. My daughter is 9 1/2 this year, and we chose to go with something cute but a little more "grown-up." 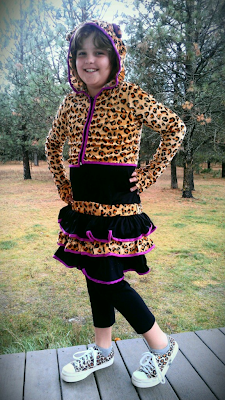 She chose the Leopard Hoodie Kids Costume and it was absolutely perfect! It was fun, cute, and stylish! She felt like a "big girl" this year and got so many compliments! The hooded half jacket was soft, warm, and very glittery - it even had ears! She sparkled in the light and left "fairy dust" everywhere she went! I loved that the skirt was a full tank dress which made it easy for her to keep up and it fit perfectly under her hoody and over her leggins'. Goosebumps Haunted Hollywood Vacation - TruMoo Sweepstakes! If you love TruMoo, Halloween, Goosebumps and haunted houses, you're not going to want to miss this! We are in the midst of wrestling season, so our nights are filled up with practices, homework, and workouts. As much as we enjoy sitting down at the dinner table as a family, there are some nights where cooking just isn't an option. It's on those nights where my crock pot becomes my best friend. Ultimate Party Meatballs is a simple, go-to recipe for entertaining and a variety of other occasions. 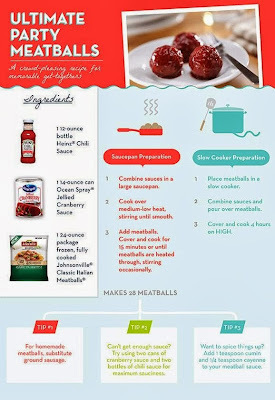 Ultimate Party Meatballs uses just three ingredients that are easy to keep on hand – Heinz® Chili Sauce, a bag of Johnsonville® Classic Italian Meatballs and one can of Ocean Spray® Jellied Cranberry Sauce. Three ingredients = total tastiness! Johnsonville® Classic Italian Meatballs are made with only premium cuts of meat and never any artificial flavors or colors. Ocean Spray®’s delicious sweet and tangy cranberry sauce has been a tradition at the table for generations! Heinz is "America's Favorite brand" of Chili Sauce. Perfect for recipes, Heinz Chili Sauce has a tangy flavor, and is great on burgers and fries. Last night was "one of those nights," so I decided to make some cute meatball sliders with cheese! 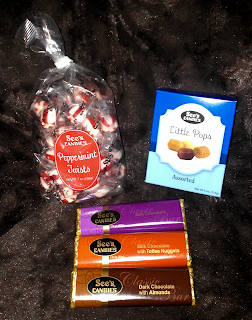 Not only were they adorable, they were also delicious and filling. My kids thought they were the coolest dinner ever and even asked for seconds! One thing I look forward to every holiday season is receiving holiday cards in the mail from family and friends. Although I love reading all of the cards that bless our family each year, photo cards are my absolute favorites! I love to see how everyone has changed and grown over the years, especially the children! 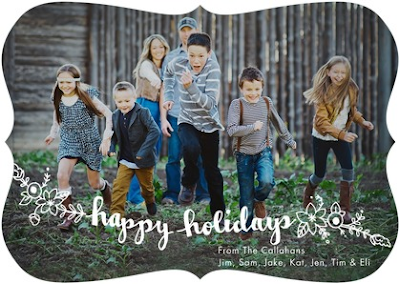 I always have fun choosing our family Christmas cards each year, always a photo card to send to family and friends. Most years it includes a picture or two of the kids, but this year it will have a family photo that was taken on the beach during vacation! I'll admit that I haven't made my final decision yet, but I'm "swaying" towards the new Swaying Garland design with bracket trim. I absolutely love it and I think it would be perfect for our beach photo! I love this design because it's fancy yet simple, and unique! 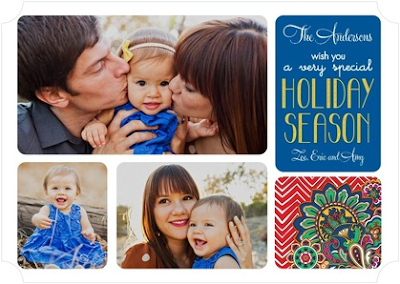 There are some exciting new trim and design options available in the Tiny Prints 2013 holiday card collection & photo gifts. With kids being back in school, parents now have to prepare for new cases of head lice. Back to school is the most common time of year for lice outbreaks. 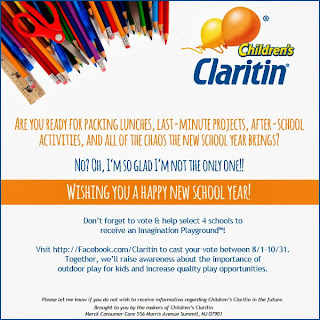 Each year 85% of school districts report at least one outbreak. Just the thought of head lice makes my head itch and my skin crawl. I have one elementary student (4th grade) and another in junior high (7th grade). We have been very fortunate and have not yet been affected by head lice in our household... knock on wood! From the time my 7th grader started Kindergarten, every time one of my kids bring home a letter stating that a student in their class has been diagnosed with head lice I mentally prepare myself for the fact that it could happen to us. One of the most important prevention tips that parents need to know is to do a head check at least once a week. It is best to catch an outbreak in the early stages before new eggs are laid. This is what makes head checks so important. A quick 10 minute head check is all it takes. It is best to check the “hot spots”, which are the back of the neck, behind the ears and the part lines. These are the warm places on the head that lice like to lay their eggs. It is much easier for parents to do a 10 minute head check once a week, than it is spending hours and days delousing heads, homes and cars. As a mom, I know that often times prevention is my most valuable resource and fortunately, head lice outbreaks can be prevented safely and naturally in the comfort of my home. Fairy Tales Rosemary Repel hair care is the leader in natural head lice prevention products that are safe for children. 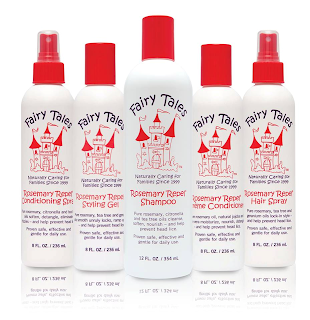 Fairy Tales Hair Care created the first natural line of hair care products proven to repel head lice, Rosemary Repel. Rosemary Repel hair care is proven safe, gentle and effective to prevent head lice with its proprietary blend of natural, organic ingredients such as rosemary, tea tree and citronella. Clinically proven to be over 92% effective, Rosemary Repel is gentle and safe for everyday use. 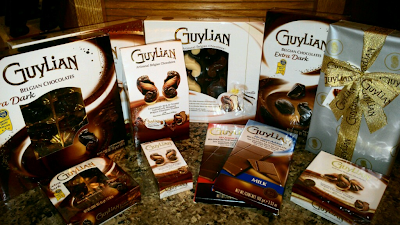 These products are non-toxic and free of nuts, gluten, soy and dairy for families with sensitivities to common allergens. Fairy Tales Rosemary Repel hair care is safe for daily use and infused with organic rosemary, citronella, tea tree, anise, lavender and geranium oils to help repel lice and other insects. Shoulder Buddies are colorful, fun and adorable. When I saw them they brought back fond childhood memories. They remind me a lot of the trolls I used to play with as a kid! The brightly colored hair that was both fun to feel and play with. My daughter wore her new little friend on her shoulder for the entire afternoon. Inside the house, playing outside and even on a bike ride to get our mail. 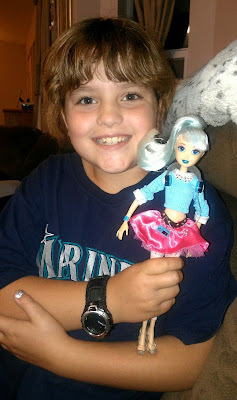 She really did have a new Shoulder Buddy! Each one is just as cute as the next making it difficult to choose a favorite. My daughter has changed her mind several times already. Shoulder Buddies are cute, colorful, collectible and affordable making them perfect for party favors, stocking stuffers, good behavior awards, prizes and so much more! I'm very picky about the item that are going to be close to my baby's skin. When I'm shopping for a baby blanket, there are two important things that I look for... They must be cute and they must be super soft. Babies, especially newborns, love the feel of silk against their skin. We’re not 100% sure why, but we’ve been told that silk is very similar in texture to the lining of the womb! You will probably notice your baby reacting to the soft silky texture right away. Babies cuddle to sleep on a silky blanket like nothing else. The reversible AllyZabba baby blanket is made of raised plush fabric and silky satin backing and is machine washable. It’s incredibly soft and cozy. All color variations of The AllyZabba are offered in our traditional multi-colored retro dot backing. My daughter loves singing, music, and dancing! She has a karaoke machine in her room as well as a few dance games for the Wii. 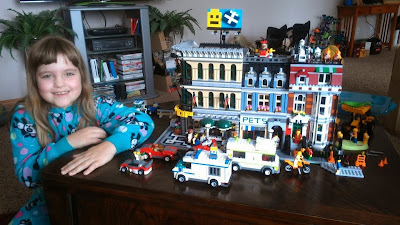 My daughter is also a commercial junkie, and her latest wish and obsession is for the new Twister Dance Rave game! Not only is Twister Dance Rave a fun game for girls to play, it's also a great way to exercise! They will be having so much fun that they won't even realize they are also getting a great workout! It's the perfect way to get your daughter up and moving to the beat! It’s party time! The TWISTER DANCE RAVE game brings the fun with today’s hottest music, great speakers and LED lights that shine to create your very own dance floor. Girls will love learning dances and showing off their moves to songs from popular artists, or they can plug their own mp3 players into the console, turning virtually any song into a dance song! The party never ends as players continue to learn new dances by following the lights and moving to the beat on the iconic TWISTER spots in head-to-head or freestyle play. 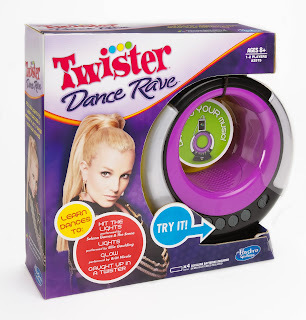 · "Till the World Ends," TWISTER REMIX, performed by Britney Spears. · "Whip My Hair," performed by Willow Smith. 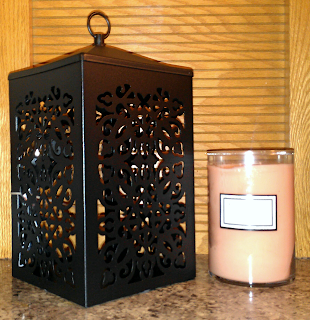 · "We R Who We R," performed by Ke$ha. · "Cupid Shuffle," performed by Cupid. · And an exclusive track, "Caught Up in a Twister." 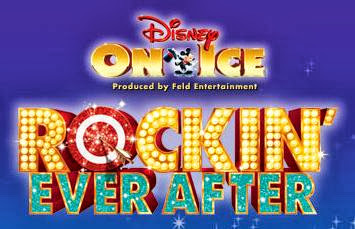 Disney On Ice Presents Rockin’ Ever After - Skating into the the Spokane Arena from November 7th - 10th! My family looks forward to spending a fun family evening at Disney on Ice each year, and we have been carrying on this family tradition for years! Get ready to rock out with some of the most magical idols of all in Disney On Ice presents Rockin’ Ever After, an all-new live production coming to Spokane! Featuring Spokane's own Kristin Cowan! A cast of world-class skaters brings your favorite moments from Disney•Pixar’s BRAVE, Tangled, The Little Mermaid and Beauty and the Beast to life in a musical showcase that features the hottest tunes and talent from across the kingdom. Jam to a Scottish jig as a group of royal contenders from the Academy Award-winning Disney•Pixar film, BRAVE, competes to win the heart of adventurous, sharp-shooting Merida, making her on-ice debut! Experience a show-stopping performance as Sebastian breaks out of his shell for one night only to make waves with Ariel. A chorus of harmless hooligans fromTangled unleashes musical mayhem when they get a visit from the sassy and spirited Rapunzel and her charming ally Flynn. And, get your feet moving as the Beast and his castle’s enchanted entourage take center stage in a spectacular show for Belle. It will be a rockin’ remix of royalty when Disney On Ice brings this superstar line-up to Spokane! Let Them Have Their Cake & Eat it Too - Betty Crocker’s First Birthday Smash Cakes! Smash Cakes are becoming more and more popular for first birthday's and first birthday photo sessions. When my son turned one, I made him a cute little circus train smash cake and when my daughter turned one, I made her a 3D ducky cake. Of course, both cakes went along with the birthday party theme and decorations! How to Make a Smash Cake: Baking up fun when baby turns 1! Thomas and his engine friends light up the tracks for a festive celebration in the all-new holiday release Thomas & Friends®: Santa’s Little Engine. Thomas & Friends continues to teach timeless life lessons of discovery, friendship and cooperation, inviting children to enter a world of imagination through the tracks of a train and the words of a story. Ho Ho Ho! Thomas is full steam ahead as a Really Useful Reindeer, saving the day by guiding Santa’s sleigh straight to the Sodor Christmas celebration! When snowfall transforms the island of Sodor into a winter wonderland, Thomas discovers that being safe is the best route to holiday fun. 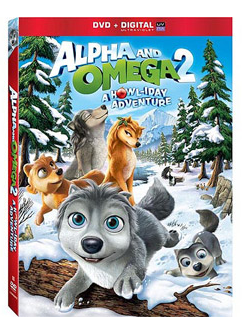 Percy makes everyone’s Christmas wishes come true and Gordon discovers his friends’ special skills are the gifts that keep on giving, all year long! 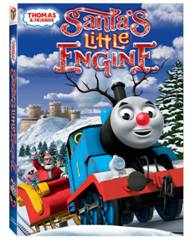 Thomas delivers the true spirit of the season as Santa’s Little Engine! 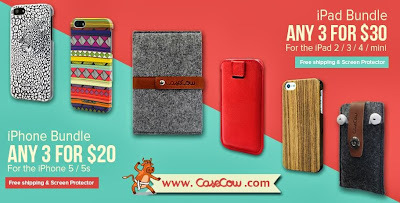 CaseCow Bundle Sale - Save BIG on iPhone & iPad Cases! If you're like me, having a fun, decorative case for your phone, tablet and iPod are must-have accessories! I like to order a couple, so that way I can change them around every now and then! CaseCow is having a site-wide bundle sale and is offering some amazing prices on iPhone cases and iPad cases! They carry a variety of durable and stylish cases made of aluminum, wood, felt, genuine leather, polycarbonate, and more! My personal favorite is the hidden cheetah iPhone case. Did you know that blogs were first used as online diaries, where people could write about their personal lives? When I started blogging, I was simply using it as an outlet to share things that were happening in my life. I was blogging about my family (especially my children), our summer vacations, how my kids were doing in school, and other everyday life events. In a nutshell, it was my personal online diary that I was openly sharing with others. 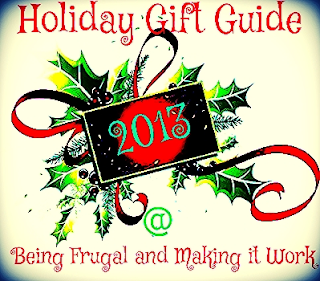 Then I began sharing my love of clearance shopping, coupons, and frugal deals to help make my family's budget stretch as far as I possibly could. As it progressed into more, it was comforting knowing that I was helping others to make their own lives just a little more frugal and rewarding. 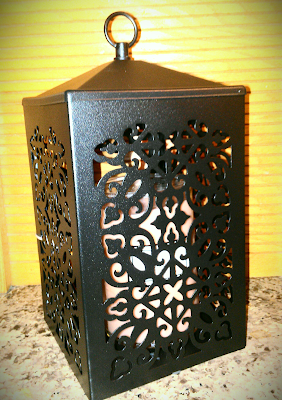 Being frugal and crafty is how I help make ends meet and contribute to my family. I earn money through blogging, social networking, pay to earn sites as well as contests and giveaways. All of these "extras" have really helped our family over the years - by providing great gifts for family and friends and extra activities for my family. Its been a month since the kids started back to school, and I think I am finally back on task, and adjusted to our new routine. It never fails, as soon as the kids are back in school, germs and allergies are running at full steam! As a mom, I'm always looking for tips, tricks and ideas to help make daily life just a little bit easier! 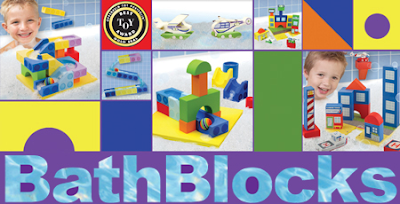 Between after school activities, class projects, and homework - we can all use a little help! Do you love coffee? 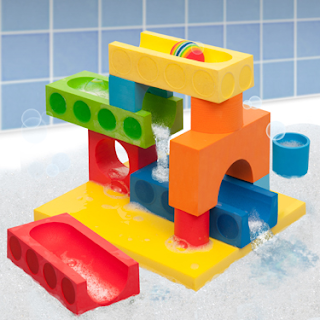 What about foam? 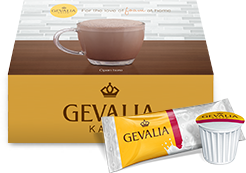 Get a free sample of Gevalia Mocha Latte, one of the new Gevalia cafe-style beverages made from real milk. That perfect café experience in your own home with your Keurig® K-Cup® Brewer. 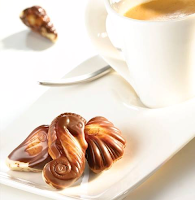 Bring home that feeling of sitting in your favorite corner coffee shop with 3 exquisite café-style beverages to enjoy: Mocha Latte, Cappuccino and Caramel Macchiato.